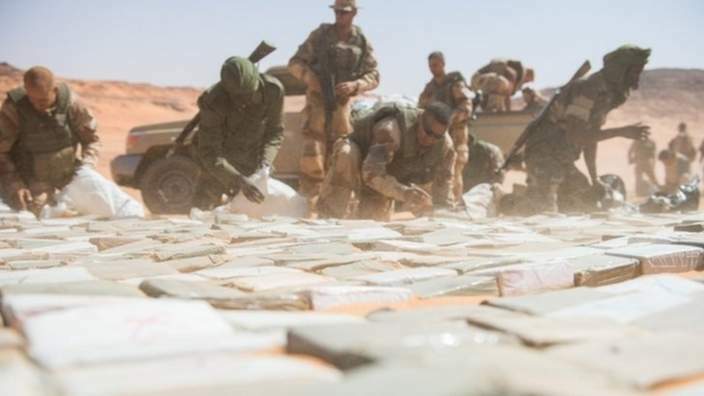 The French army says it has seized 1.5 tonnes of drugs and a cache of weapons after stopping a convoy of militants in the desert in north-eastern Niger. 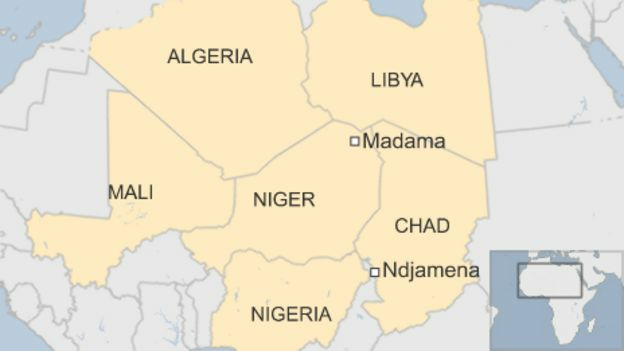 Militants in two pickup trucks opened fire on French and Nigerien forces after refusing to stop at a checkpoint on 14 May, the French military said. Soldiers discovered the illegal cargo after a fire-fight in which three militants were killed, it added. France has 3,000 troops in the Sahel region to combat militant Islamists. 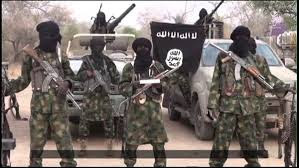 Three other militants were also captured and handed over to Nigerien forces, the French army said in its statement. Widespread trafficking in the Sahel region is a major source of funding for militant Islamist groups across the continent, analysts say. Operation Barkhane, which comprises French forces as well as troops from Mali, Mauritania, Burkina Faso, Niger and Chad, was established in August 2014 to stop the emergence of jihadist groups. The checkpoint where the incident took place is located in the Sahara desert in an area the French army describes as "an important transit zone between Libya and the northern Sahel". The Sahel includes some of the world's poorest countries but has rich natural resources in the form of minerals and gas. France sent troops to Mali in January 2013 after Islamist militants threatened to overrun the capital, Bamako.